As the header states, we have finally reached the beginning of our XLS+ Beta Testing! Re: XLS+ Beta Testing begins! If you need any more testers Ron then please feel free to let me know. More than happy to try my best to vandalise Ed's FMS !!! Cheers, can't offer RW experience - which is probably why I manage to find issues as I have to learn the FMS from scratch and end up doing stuff the RW chaps don't do (ie everything wrong)..
Good luck with the beta either way. Come on guys, we're in the Fall now.. Early 2018? At least give us some communication, some openness and dialogue about where you're at here. Years we've been waiting for this A/C.. years! 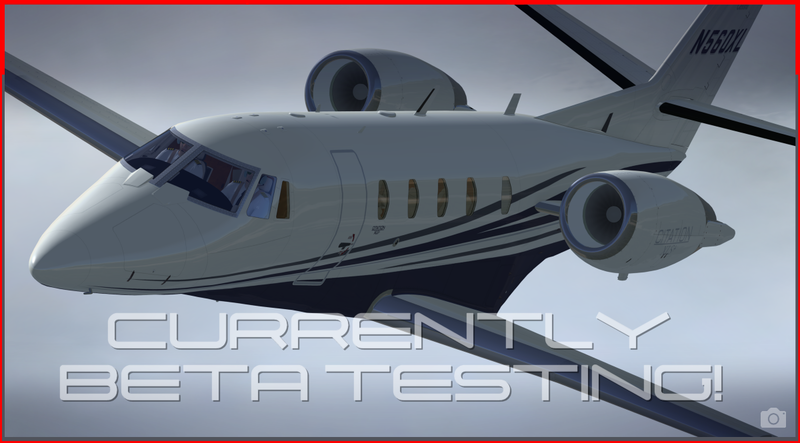 Recent improvements in process and coding, along with new and competent beta test access allow us to at least consider the possibility of offering Citation XLS+ RTM for either Generation Three, 32 Bit Simulation Platforms such as FSX Boxed, FSX Steam, and P3DV3 or Generation Four, 64 Bit Simulation Platform such as P3DV4. This would allow customer choice of Platform Specific Versions. More on this as final determinations are made.